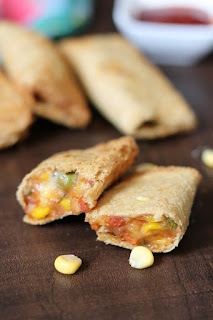 Do you love McDonals Veg Pizza Puff??? 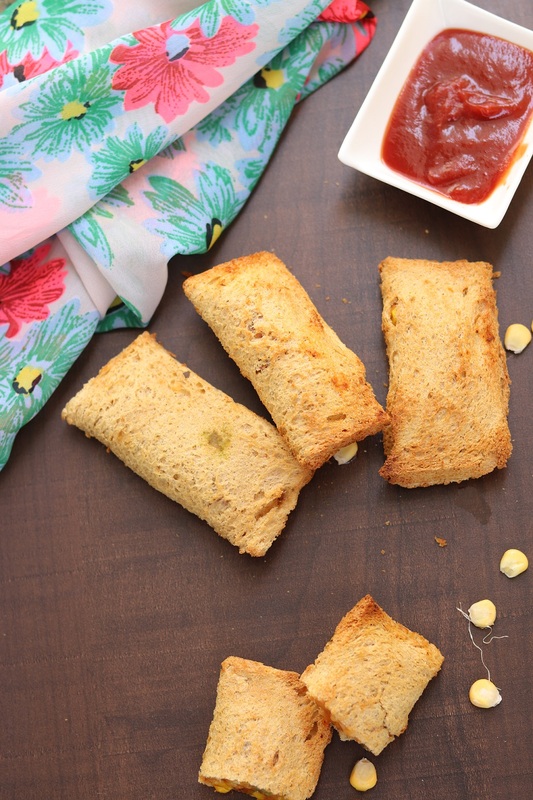 Try making healthier version of Bread pizza pockets is a healthy, delicious snack recipe. 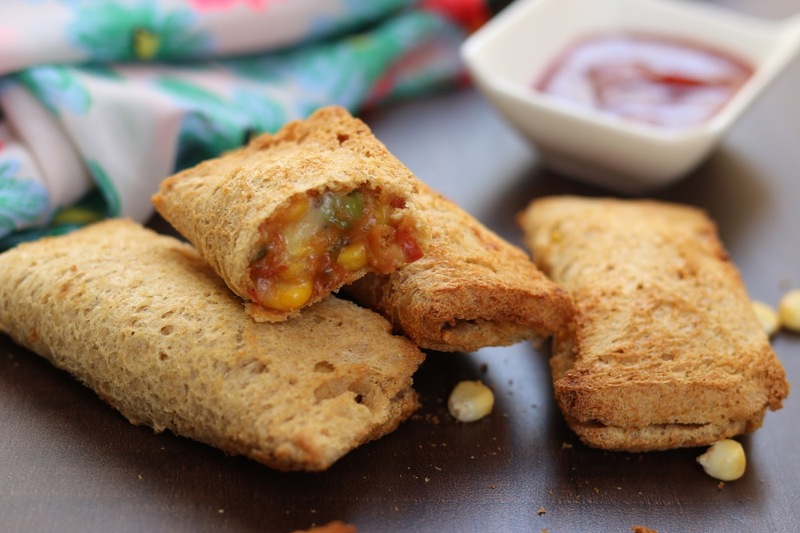 It is a kids special recipe which can be made in oil free manner in airfryer. No refined flour required. 1. Heat non- stick pan, melt butter. Saute garlic and all vegetables. Add spices. Cook for 5-10 min till soft and tender. Cook till there is no moisture. 2. Transfer the contents into a bowl. Add grated cheese into it and mix well. Cheesy vegetable stuffing is ready. Keep aside for cooling. 3. Take bread slice, remove the brown sides. Flatten up the bread using rolling pin. Keep the stuffing in the center of the bread. Moisten the edges of the bread with water and fold to form pockets. Seal the edges of the bread pockets properly. Use little water, if required. 4. Neaten up the sides of the bread using knife. 5. Preheat airfryer at 180 degrees for 5 min. Air fry all bread pizza puffs at 180 degrees for 5 min. 6. Crispy cheesy pizza puffs/pizza pockets will be ready to serve.